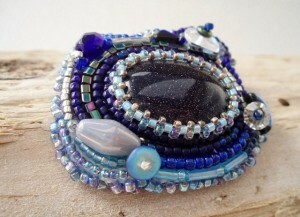 Primarily self-taught, I use a range of high quality glass seed beads, shaped beads, Swarovski Crystals as well as Czech Preciosa firepolished faceted beads to create wonderfully textured beaded jewellery. I also love to design and create mixed media jewellery and utilise all sorts of craft products like shrink plastic, Jewel Enamal or UTEE (ultra thick embossing enamel) and Gilding wax. I also make silicone moulds from found objects and vintage buttons, fossils and keys to create unique items of jewellery for people who like something a little different from the High Street Norm. I also incorporate semi-precious gemstones, handmade polymer clay beads or sometimes found objects such as sea glass or rusty bolts and I also create Japanese Kumihimo braided jewellery and crochet jewellery too! I have successfully completed Grade 1 of the Diploma for Precious Metal Clay and a City & Guilds level 2 diploma in Traditional Silversmithing & Jewellery at Truro College. My inspiration comes from many things and places like the beautiful Cornish coast or flora and fauna as well as historical events and of course my home country – Australia. I am a member of the Bead Society of Great Britain my jewellery has been featured in national and international Bead/Jewellery magazines. 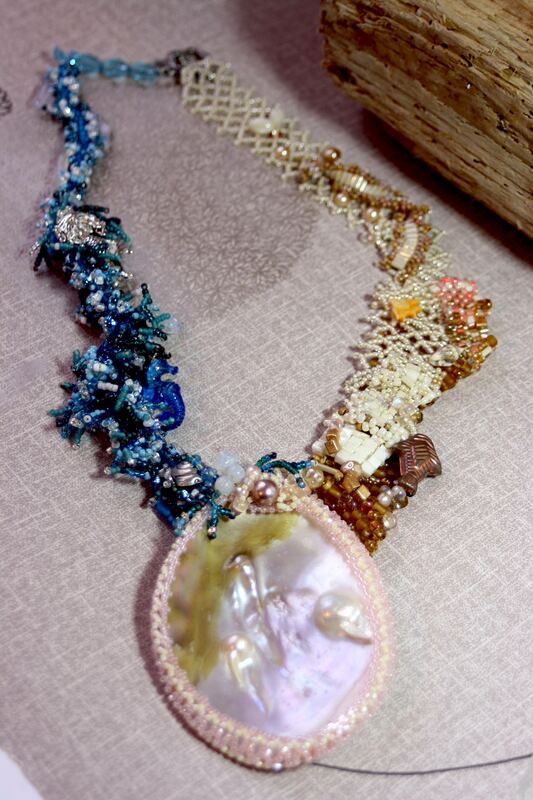 One of my more complex pieces ‘Sea Necklace’ was included for exhibition at the Northampton Museum & Art Gallery. 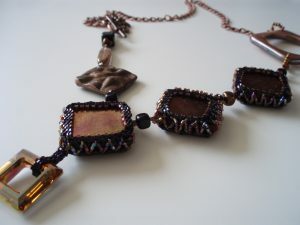 Falmouth Art Gallery – My Art Deco mixed media jewellery, Pendennis Castle pendants and Japanese Washi earrings! 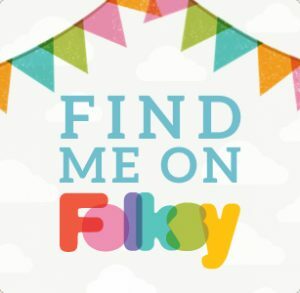 My Folksy online shop – Folksy is a UK Based online shop dedicated to Designer Makers based in the UK and handmade items! My Etsy Online shop – Etsy is an American based website also dedicated to Designer Makers and only sells handmade items or supplies – for people working all over the world! 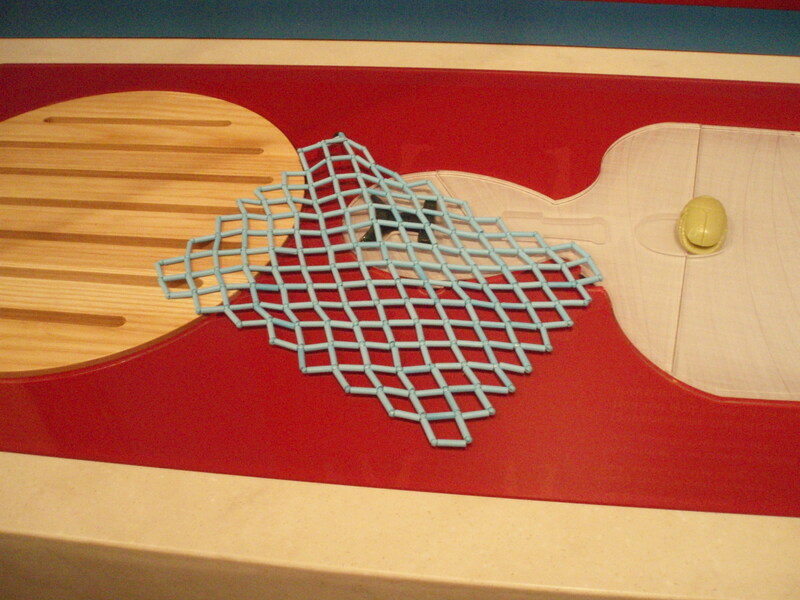 I was also commissioned by a local design company to create a bead netting section for the interactive display of the Royal Cornwall Museum’s new Egyptian Ancient Civilisation Gallery in 2012.